Poor Yasmin Nakhuda. She lost her monkey and now she’s losing a bundle of cash. 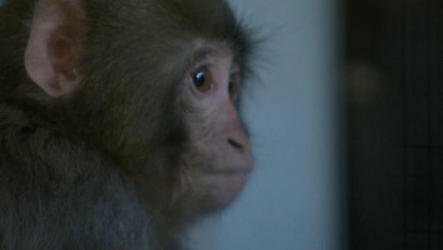 The Toronto real estate lawyer has been ordered to pay $83,000 in legal costs to a primate sanctuary that she sued unsuccessfully last year to get back Darwin, the sheepskin coat-wearing Japanese macaque confiscated after escaping her car in an IKEA parking lot in December 2012. That’s on top of her own legal expenses. Darwin became a YouTube sensation as he scampered around the entrance to the Swedish furnishings store clad in a shearling jacket. Darwin was picked up by a Toronto animal-control officer and Nakhuda apparently agreed to give up ownership of the monkey, who was taken to the Story Book Farm primate sanctuary, where he now lives. But Nakhuda sued the sanctuary to get him back, claiming she was duped into surrendering Darwin voluntarily, believing animal-control authorities had the power to seize him. According to the Darling Darwin Monkey Facebook page, Nakhuda considers herself Darwin’s surrogate mom. But she lost the suit last September when an Ontario Superior Court judge ruled Darwin was a wild animal and not a pet, therefore Nakhuda had no legal claim of ownership. The sanctuary’s lawyer, despite appearing pro bono, applied for costs. On Friday the court ruled Nakhuda must pay $83,000 to cover legal expenses, The Canadian Press reported. Lawyer Kevin Toyne said awarding costs is still appropriate so that lawyers get some reimbursement for their services. Darwin is the highest-profile resident among the sanctuary’s 23 monkeys. He spends a lot of time with baboons Sweet Pea and Pierre, as well as fellow Japanese macaques Lexy and Julien. Meanwhile, Nakhuda confirmed in a Facebook post this week that she is appealing the ruling that leaves Darwin in the sanctuary’s hands. She’s selling T-shirts to fund the legal fight.